and click Print. 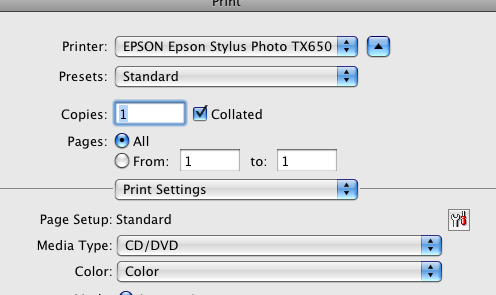 The Home Disc Labels will start initializing Epson direct to disc printing. 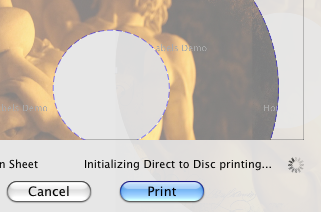 After this process finishes, the standard Print dialogs is opened. Please make sure that Media Typeis set to CD/DVD.